Andreas Pereira of Manchester United stated that learning from Coach Michael Carrick is easy and effective. 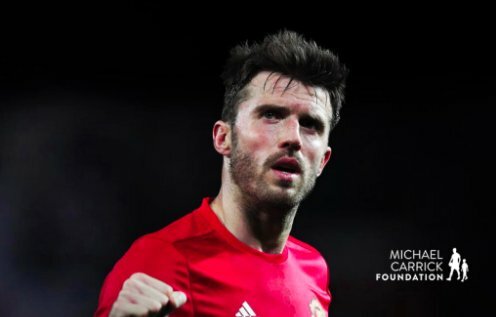 Andreas revealed that Carrick has been helping him in training so that his future in Manchester United would be secure. He stated that the new club assistant makes it easy for new players to follow his lead. Andreas is a 22-year-old player who is playing at Old Trafford after he was given on loan for a season at Valencia. He hopes to impress Jose Mourinho and hopefully the tour of the team in the US would reveal his abilities and how well the Carrick, the first team coach, has been carrying out his duties. Pereira stated that the manager had asked him which position he will play in and he has chosen to be at No 6. He will do his best and everyone is helping out as well, including Carrick. Every training session is with him and that is important, along with advice and guidance from other coaches. Carrick is one of the best former players of Man United and also has taken up the ropes of a coach well. He provides easy tips for the young players so that they can follow them well. Carrick, as per his former playing profession, he is known to be a decorated English player who had played for Manchester United for 12 years which he also was a captain of. He played mainly as a central midfielder; his abilities included his passing and crossing of the ball. His current position, after retirement from active games, is as coach of Manchester United. Carrick joined the coaching staff of Man United towards the end of season 2017-18. As his coaching career has recently begun, he had the responsibility of coaching the first level team of the club.